Photographed above, each one of our signature solitaire pendants is set with a one-of-a-kind gem from our treasure box of stones. A staple of this collection is the Old Mine Cut diamond. 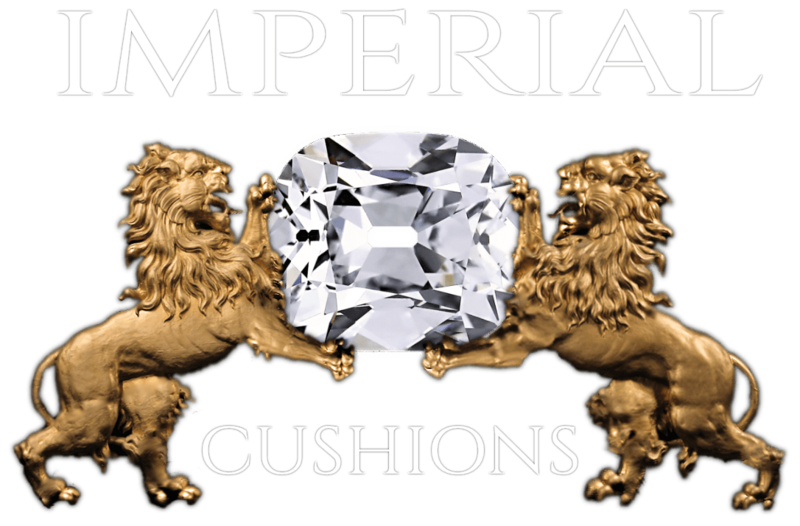 As they are some of our very favorite stones work with (and hunt for), we would like to share with you the compelling history and features of these coveted antique beauties. What exactly is an Old Mine Cut diamond and why are they so popular today? Old Mine Cut diamonds were cut by hand before the invention of electricity and modern gemology. They were cut and polished on a wheel powered by foot pedal, and were shaped at the discretion of the individual stonecutter. Dating back hundreds of years, each of these antique diamonds has a history that is time-stamped into their shape by the available cutting technology of the time and the unique skills of the individual stonecutters who left their mark on them. Though these antique cuts have been used in jewelry for centuries, the demand for historic diamonds is currently surging. As a truly sustainable diamond option, these stones have inspired many creations at D&H Jewelers over the years. D&H antique diamonds are up-cycled from once-loved jewelry, and are arguably one of the “cleanest” diamond options available: there is no environmental impact what-so-ever in their sourcing. As technologies evolved, so did the precision in cutting techniques. The modern brilliant cut diamond- now standard today- was only first created in the 1940’s. This cut was invented to maximize the light refraction through a complex faceting structure and ideal table-depth proportions, ultimately creating a firework display for the eye. An off-round or cushion-like shape distinguishes Old Mine Cut diamonds. They date back to the 1700’s and were the first departure from the rose cut (another ancient cut in high demand today). 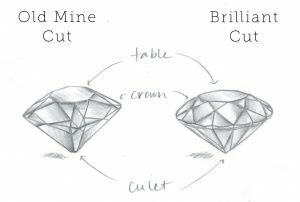 These antique cuts are not only less complex in their faceting structure, but are also shaped differently, as shown in the diagrams below. As opposed to a modern round brilliant diamond, Old Mine Cut diamonds have a large girdle, high crown, small table and large flat culet. With these features, each antique diamond exhibits a special personality and scintillation that differs from the brilliance of a modern cut diamond. 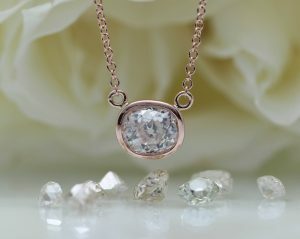 Antique diamonds are known to have a romantic glittering effect that is even enhanced in low lighting. It is said the Old Mine Cuts diamonds were invented to shimmer by candlelight. Like candlelight, these stones have an undeniable charm that draws us to them with their warmth and simplicity: the hallmarks of nostalgia.